Excited to announce that the United Auto Workers International Union out of Detroit recently purchased the film to use as a training tool! We are in solidarity with all of our sisters working in male-dominated trades! 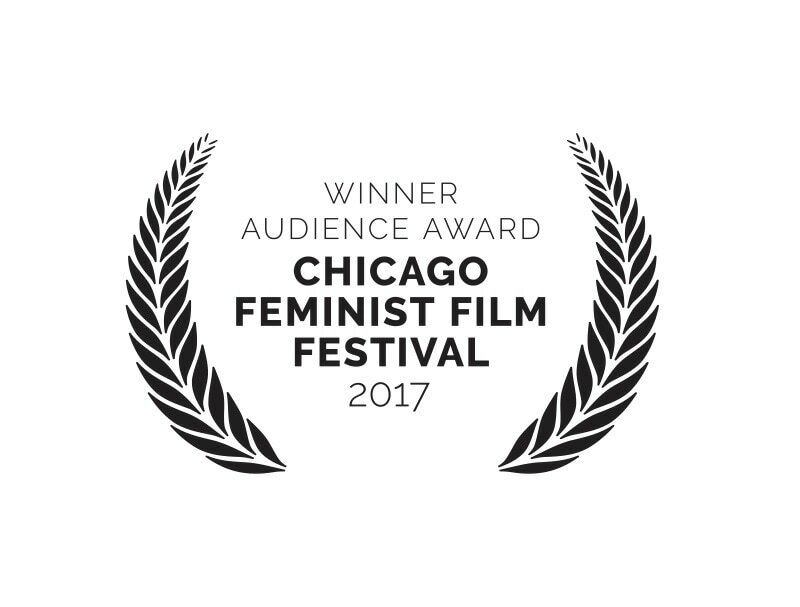 We won Best in Show at Chicago Feminist Film Festival! Sista won the Audience Award! 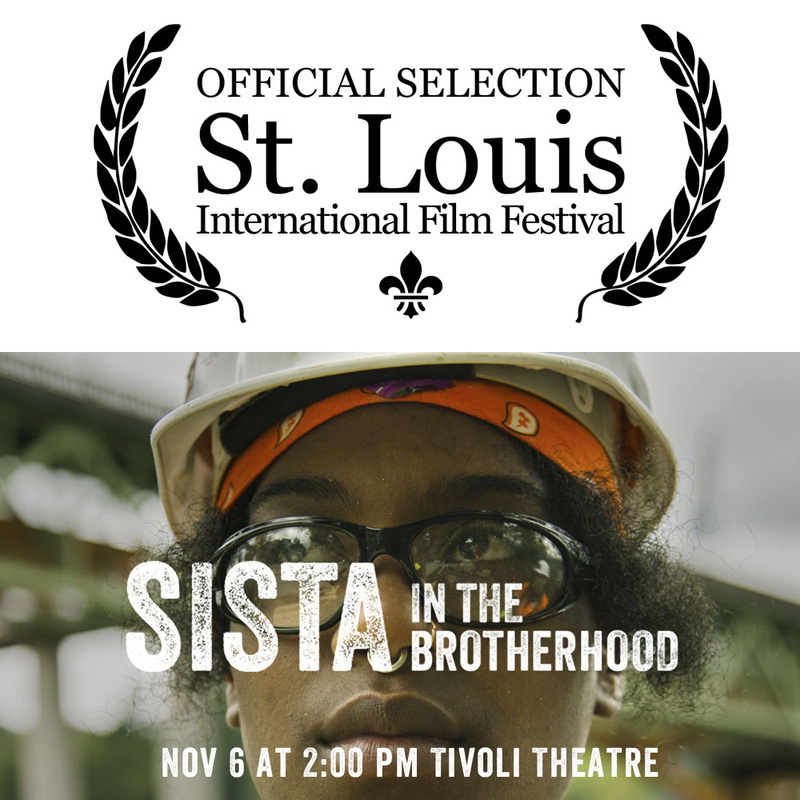 Thank you to the festival and to Chicago Women in Trades for supporting the film!! We won Best Short Film at the Winter Film Awards in NYC! Special thanks to our editor, James Jones and to tradeswoman activist Judaline Cassidy for representing the film! Thanks to the Winter Film Awards for this great article about the film! We screen with them in NYC on February 26th. Sista won Best Short and Best Actress at IBFF! Thrilled to be part of the festival. Congrats to Sidony O'neal. St. Louis International, here we come! 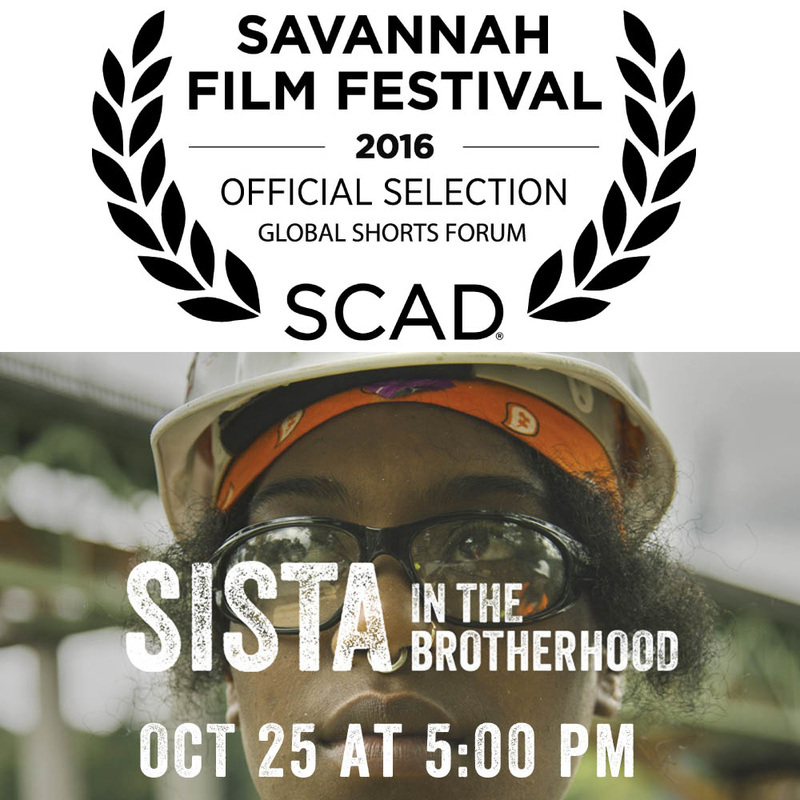 Sista at Savannah Film Festival tomorrow! The Reel Sisters Award Ceremony in NYC! 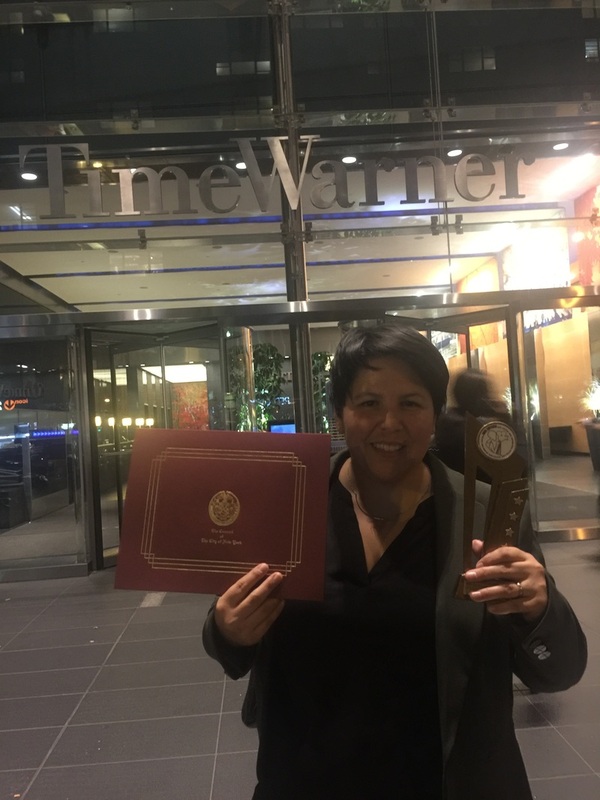 Last night was the official ceremony at Time Warner in New York. We won the Spirit Award and I received a citation from the City of New York deeming me "worthy of esteem!" Wow! They take their film seriously here!! Thank you to Reel Sisters for all the support and most importantly, for highlighting the struggle of tradeswomen of color! 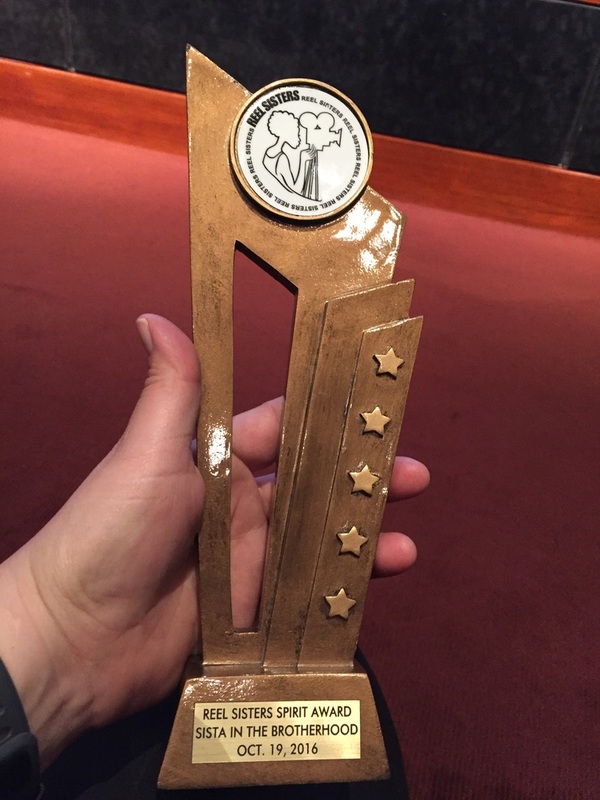 Sista won the SPIRIT AWARD at Reel Sisters Film Festival in NYC! 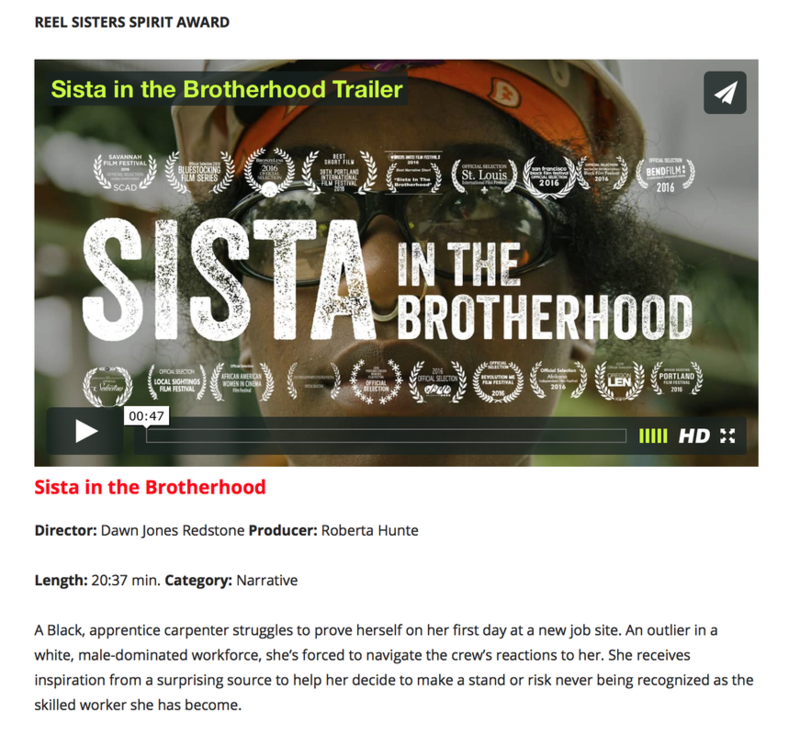 Delighted to announce that Sista in the Brotherhood has won the Spirit Award at the Reel Sisters Film Festival in New York. 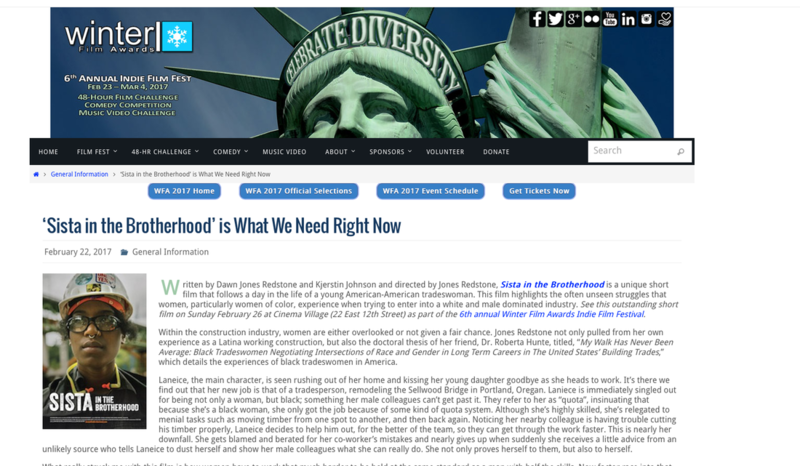 It's an honor to be included amongst some incredible films and we are thrilled to be lifting the voices of tradeswomen of color with this film. Thank you! Director Dawn Jones Redstone will be on hand to receive the award at the ceremony on October 19 and then attend the screening as part of the festival on October 22. See you there!